How many times have you tried to reserve a conference room to no avail or how many times have you reserved a room only to find someone else took the liberty of having their meeting in that room? 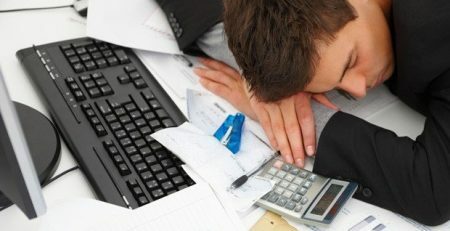 It can be extremely frustrating and throw off the advancement of a project, not to mention you now have to go back and make sure the new meeting time works for everyone’s schedule. What if you could eliminate the need for conference rooms, thus eliminating the hassle of sharing a conference room with the rest of the company? This can be achieved with the right office cubicle configuration. 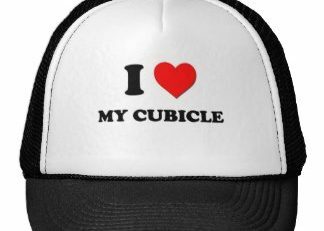 There are certain cubicle configurations that allow for collaboration and can host quick pop-up meetings. 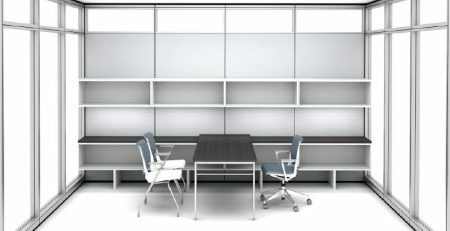 Cubicle configurations such as bullpens, combined with the use of specific work surface styles like D-tops, allow you to create meeting areas right in the comfort of your own cubicle. 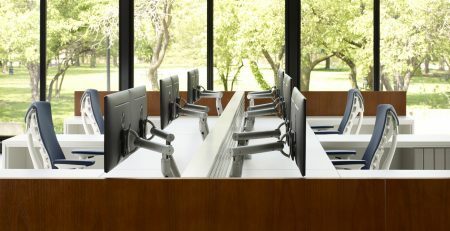 Bullpen cubicle configurations allow for teams of employees to work side by side. 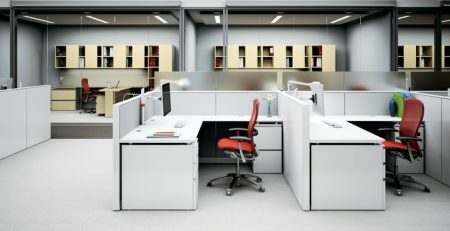 Bullpen cubicles help promote idea generation amongst teams of employees because they are all working in the same area and can bounce ideas of each other with ease. If the bullpen cubicle is made large enough you can even fit a meeting table in the middle, which is great for quick get togethers. If you need additional seating you can always introduce mobile pedestals that guests can sit on. There are certain work surface styles that are great for hosting quick meetings. Work surface styles such as D-tops and P-tops are ideal for small meeting areas. 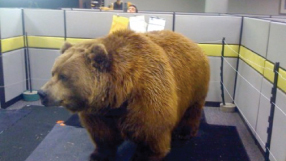 A D or P-top surface creates a large enough cubicle desk space for paperwork to spread out and host several people. 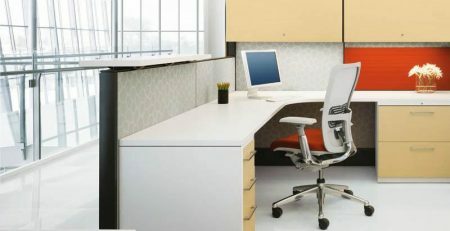 You can also incorporate work surfaces that attach adjacent cubicles, creating a center meeting spot. An alternative creative use of office space that can double as a meeting area is utilizing standing storage units and adding a laminate work surface on top. 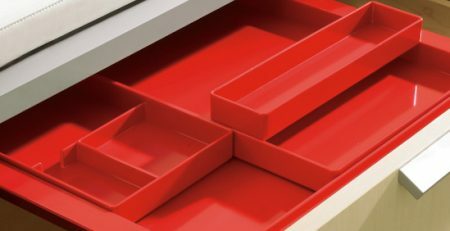 Using your storage this way allows you consolidate storage and a table into one.